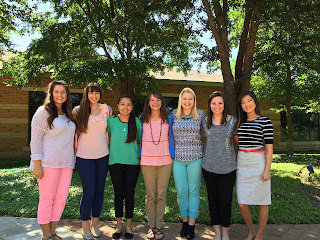 As I mentioned in my previous post, the other interns at Gladney are so wonderful! The work they have done is amazing. We have all had wonderful experiences and learned so much! As the marketing intern, I thought it would be interesting to find out what exactly led them to Gladney and how their experiences have been so far. I asked them a few questions, and this is what I learned! To the interns: You are the sweetest girls with the biggest hearts! I wish we would have been able to spend more time together, but what time I had with y’all was so special! Good luck with the rest of your time at Gladney, as you finish school, and as you move on into your careers! God bless! 1. 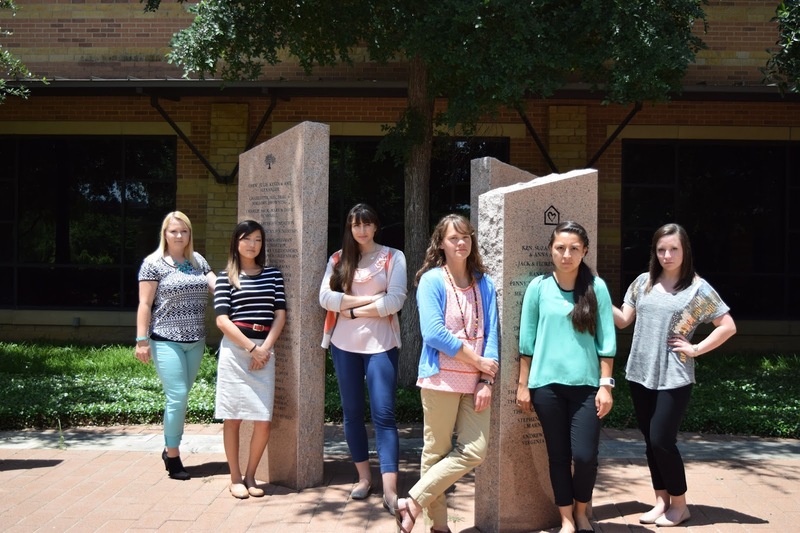 What made you want to be an intern at Gladney? Lindsey: As a requirement for my undergraduate degree in Human Development and Family Science at Oklahoma State, we are to do an internship within our field of study for a designated amount of time! I personally have no prior experience with the adoption field; however I more than likely will be led to adoption to complete my family in the future. I felt that adoption is such a significant field and learning more about the process and the populations of people who are involved would serve not only as an influential and educational internship experience for myself, but also open up my eyes to a world I will more than likely join and hopefully help make a difference in other’s lives as well. JaNae: I have a love for adoption and knew I wanted my internship to be at an adoption agency. I was adopted myself and loved the idea of giving others hope of starting or expanding their family. Tanna: I first heard about Gladney when my aunt and uncle adopted their son from China! Not only did I hear about their adoption experience with Gladney, but I also heard a lot about the Superkids program as my aunt is the pediatrician who participates in the Superkids trips to China! When I found out Gladney offered internships (including one in international adoption, which is my passion!) I knew I wanted to apply! Haley: My brother was adopted through Gladney, so my family and I have had a lot of experience with this organization, and seeing how wonderful this place and its staff were throughout the years made me want to be an intern here. 2. What has been the best learning experience so far? Lindsey: My best learning experience so far at Gladney has been working directly with the birthmothers in the dorm and understanding the process and feelings that they are going through. There is no way to know how they are feeling, but witnessing this selfless act firsthand and getting the chance to talk to them and take this walk with them is extraordinary. JaNae: I've had many positive experiences at Gladney that it is hard to name just one. I've been able to be a part of a few baby placements and see the reactions of the adoptive couple as they see their new baby for the first time. I've been able to do many home visits, I've gone as far as Austin, and get to know each of the couples and families that desire to adopt. I've also been able to go to the court house and see many finalizations. It's a beautiful thing to see a family stand there with their child and be declared their official parents. Tanna: I have a hard time picking the best learning experience I’ve had in my first few weeks because I’m gaining new information each day! One thing that sticks out to me is the knowledge I have gained regarding the adoption process in general. Two of my brothers were adopted from Africa, and since it was a private adoption our family was not associated with an agency. My experience at Gladney has shown me what the adoption process looks like when you are working with an agency. I have also had the chance to learn about parenting adopted children and how to properly handle issues that are faced with adopted children. Haley: Shadowing Monique on a home study has been the best learning experience for me so far. Just seeing the interview process from a different side and learning how to manage situations and observing everything going on was such a great experience. Jordan: There have been so many! I think learning about the processes all members of the adoption triad go through has been most interesting to me. 3. What do you hope to get out of this experience? Lindsey: I hope that after my time at Gladney has come to an end, I will have a greater sense of understanding for each party that is involved in adoption as well as everything Gladney does to help each of those groups of people. I hope to broaden my horizons into a field that I had no prior experience and take that new found education with me into my future. JaNae: I hope to be able to learn as much as I can about adoption and how I can grow to help children and families in my future career. Tanna: I hope to become more knowledgeable in the various areas of an adoption agency during this experience. I have loved being able to see so many different aspects of Gladney during my time here! I am interning in the international department, but I have been given multiple opportunities in other departments. My eyes have been opened to all that an adoption agency does! Haley: I hope to gain invaluable experience (which I already have in the short time I’ve been here) that will help me in a future career and in life in general. Jordan: From the beginning I wanted to gain general knowledge of this amazing organization and get my feet wet in the world of adoption. I have been exposed to many different situations and learned exactly what it looks like to be completely devoted and committed to helping birth mothers, adoptees, and adoptive parents have the best adoption experience possible. 4. What do you hope to contribute to Gladney while you are here? Lindsey: I hope that while I am here at Gladney I will contribute my love for families and my love for helping others during my work especially in the dorm. I work very hard and try to learn as much as I can, so I hope that this effort shines through into everyone that I work with and I make a small difference in my time that I’ve spent. JaNae: I hope to be able to contribute my experiences and knowledge with those I encounter. I also want to instill hope and happiness into the lives of those I work with. Haley: I hope to be a big help to Gladney during my time here in any way I can. I hope that the work I do as an intern here will contribute positively to this organization, even if it is in the smallest way. Jordan: Since my experience here is almost over, I hope that I have encouraged others with my story and been able to complete work that needed to be done in order to best advocate for adoption. Lindsey: After my summer at Gladney, I will move down to San Marcos, Texas where I will pursue my master’s degree in Family and Child Studies with a track for Child Life. I hope to work with children and families in the medical setting and help their lives flourish despite the hardship they are going through. Through therapy and advocacy I aspire to help those little kiddos who are not always able to help themselves and promote resilience within their families for a happy and future. JaNae: My future plans after I graduate with my Masters would be to work with children who have trauma or attachment issues and/or to work in an adoption agency. Tanna: To be honest I am not completely sure what my futures plans are! I will graduate in May, and I am considering going on to get my Masters in Social Work. I trust the plan the Lord has for me and will know what is next in His timing. Haley: My plan for the future is to continue my education by attending TCU’s MSW program and then after, hopefully start a career in the field of social work (where exactly is to be determined). Jordan: I will graduate in March with a degree in Family and Child Studies and a minor in Business Leadership! I plan to get my Master’s in Social Work, but I am not sure where. I am very interested in working in the adoption field, but I am also interested in Play Therapy and teaching preschool! I am trusting the Lord to guide me where He sees fit. P.S.- Shout out to Mary Ownbey and our supervisors for all of your help and for making this possible! If you want to ever volunteer or intern at Gladney, we think you definitely should! "So...how did you hear about Gladney?" 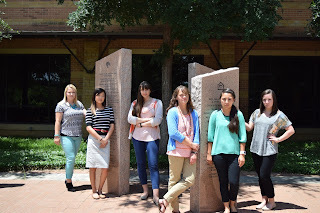 I am a Gladney Baby and a Gladney Intern!